Grab a leash and be part of Canine Companions DogFest Walk ‘n Roll! It’s a community dog walk that supports the mission of Canine Companions for Independence. Put together a team of friends, family members and coworkers. Then fundraise to earn a cool DogFest prize. If you raise $100, you’ll get a DogFest bandana to sport at DogFest. Then come to DogFest for a tail-waggin’ good time! DogFest Walk and Roll Silicon Valley is returning for another "fun-raising" event for dogs and their humans. 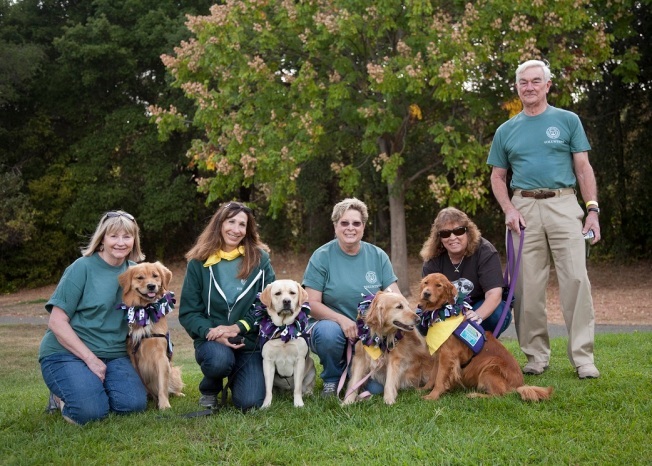 On October 11, 2014 follow your dogs to Memorical Park in Cupertino. Join NBC Bay's Christina Loren and fellow dog-lovers for the walk!